Does Your Bank Truly Know What You Need? A few weeks ago, Craig Moon who is a high net worth investor, received an unsolicited email from Renaissance Transactions Bank in New York requesting he invest in a new mutual fund investment opportunity. Apparently, the offer was being extended to all of the prospects and clients in the bank’s database who had previously filled out any kind of inquiry form. Craig felt quite queasy in his stomach at receiving an unsolicited offer like this from a bank with whom he had no personal relationship. He had received similar emails from other banks before and gradually built up a lot of negative resistance to such approaches. He couldn’t understand how a bank can make this offer when they hardly know anything about him. Craig’s experience in life taught him that if there is poor communication then the solution provider and what they offered could not be trusted. He wondered whether some of the banks were trying to get an edge on the consumer using faulty diesel-powered systems. After all, in the modern day age of Big Data research it would be reasonable to expect that a bank would at minimum use statistics and some casually built online surveys to roughly paint a persona of the prospect or client. Craig reflected that given the recent stock market turbulence and increasing complexity of investing, this might be the time to find the right financial planning relationship. While I was hearing Craig’s story at a seminar, I felt motivated to tell him that there was a fresh approach to banking and financial planning coming. 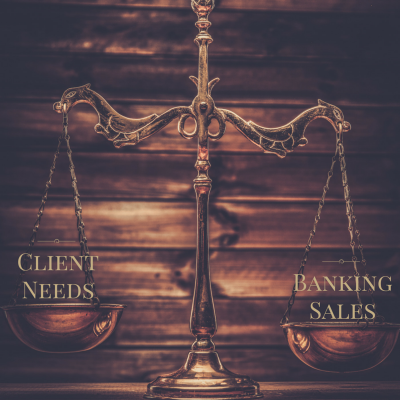 No longer would banks and financial planning firms be playing the guessing game of what is suitable to offer a client and how to engage them. I told him of an emerging trend of established banks out there starting to make a grab for the space of being the leading client-centered brand that put the interests of their clients first. In fact, this is what the regulators globally are requiring and the Obama Administration is pushing with the Fiduciary Standard, although it has not been happily embraced by all, yet. For a few years now, some of the banks had been re-branding themselves as client-centered but had no high-quality scientific process which required active client participation to demonstrate it. Craig became intrigued and asked more about what to look for from a bank who would potentially meet his wealth management needs. I explained to Craig that what he should look for was a bank who adopts the approach of “understanding people before numbers” by discovering who the client is first and then collaboratively building a financial plan and investment policy statement which recognizes his complete financial personality. Craig said he had started to read about the idea of behavioral finance in the newspapers and investing magazines. I said that behavioral finance should be the foundation of the bank’s approach to customized communication and to the recommendations they make. What formalized processes do they have to implement a behavioral finance approach which will help him achieve his goals? Further, have the processes they use been built and tested by a reputable and independent supplier of behavioral systems or have they been developed in-house to fulfill “tick-the-box” requirements? Completion of an online activity at the banks very first touch point with the client: to discover the client’s communication style and the desired client service experience using a robust scientifically validated process. Customized first meeting experience with a relationship manager: someone who can naturally create the right environment for the client to share what they need and expect. Assignment of a wealth management team matched to the behavioral style of the client: to deliver a service that matches what the client wants -financial planning, investment management, philanthropy, family business etc. Completion of an in-depth online activity to comprehensively discover the client’s financial personality: the starting point – to reveal their natural instinctive behavioral style. This is not just a standard 5 to 20 question risk profile invented in the marketing department which can be manipulated and rarely tells the truth in down markets. Rather, a robust, scientifically validated process which objectively uncovers the client’s broader set of behavioral biases (including risk-taking) that strongly influence their decisions. Also, the financial personality reporting must be provided to the client for transparency with the comparison to the advisor. Completion of a goal-based questionnaire addressing balance across the key areas of life: to prioritize the needs and wants to be factored into the financial plan and investment portfolio design. Ideally, each of the client’s specific goals is addressed in the portfolio design. Real-time behavioral management of every client: during periods of market volatility on their unique terms. Use of online tooling to enable the client to monitor on a real-time basis their own “Market Mood” and patterns of behavior. Bank compliance processes: providing real-time monitoring of the recommendations made to each client with respect to their financial personality, financial capacity, and goals. The client should know that the bank will use exception reporting mechanisms to ensure their advisors keep the solutions offered within acceptable boundaries. Bi-annual review: conducted in person with the client or virtually using video. An advisory team that serves as the Wealth Mentor of the client: they need to adopt a coaching approach through asking powerful questions that transform the client’s thinking as they go through life transitions. Further, the firm and advisors demonstrate through this approach that the client is at the center of the relationship and not the bank’s fees. Craig called me two weeks later and said that after extensive research and introductory phone calls he found many banks and financial advisors who said they delivered this service but actually did not. However, he was pleasantly surprised to find some leading banks and financial advisors were on this pathway. All of those firms on the right path were those using the Financial DNA behavioral finance platform developed by DNA Behavior International. Craig made the decision to start working with the wealth management division of a solid US regional bank. He added that his research had revealed large banks and financial advisory firms in Canada, Australia, England and Europe moving this way. I said to Craig, that as banks and financial advisors realize that relationship building is about customizing the communication with clients and the solutions offered, then they will win. Those who think relationships are only built on rates of return will fall far behind. Conversely, banks and financial advisors who act as a guide to clients in the financial planning process, rather than dominate them with transactions, will, within the next 3 years, grab significant market share, as well as, reduce the business risks of compliance. It’s no good screaming at your clients if they make dumb decisions. As a financial advisor, you need to stay on top of things. What’s your strategy to manage clients during market shifts? Some clients tend to make some very strange decisions when it comes to how they react to market movement and managing their money, not to mention taking advice from ‘friends‘. 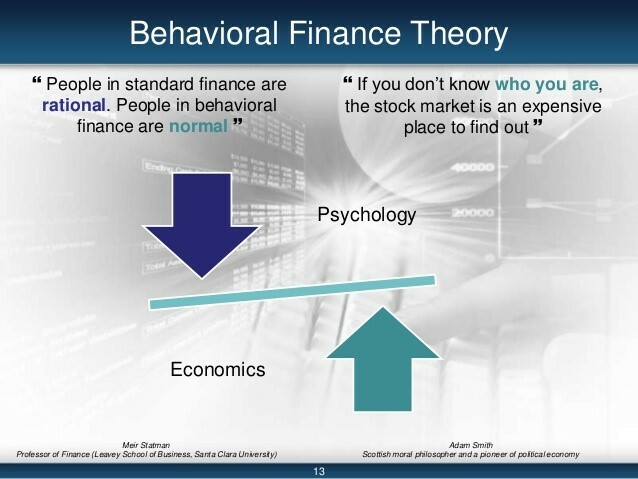 If clients, for example, follow the herd and make irrational decisions regardless of the advice you give them, it will help you to understand behavioral finance to reveal core behavior and how to address it. If you don’t you will crash and burn as a financial advisor and be surprised by their actions and reactions. Regardless of great financial advice, sometimes clients have a tendency to follow each other into precarious financial situations. They make foolish decisions and then expect the financial advisor to help them correct them. Madison is a high income earning young professional. She leads a busy life and has just been promoted to a senior role meaning she has even less time to manage her money. She has always managed her finances successfully and has her own investment portfolio. She retains a financial advisor and makes it clear that she wants to continue to grow her portfolio but with low risk. Madison is a very smart woman and somewhat reserved. In the busyness of her new position, she allows a group of outgoing vocal colleagues to persuade her to invest in a high-risk opportunity. Madison loses a significant amount of money. As soon as the financial advisor is informed about this issue, she profiles Madison. She needs to understand how this smart intelligent woman could have been drawn into making such a foolish decision. Having established Madison’s financial personality, the financial advisor is now able to provide Madison with insight into her decision-making behavior. Going forward, the financial advisor will be better able to manage Madison’s emotions and decision-making by customizing a financial plan to make improved long-term investment decisions. Had the financial advisor known Madison’s financial personality up front, disaster could have been avoided. 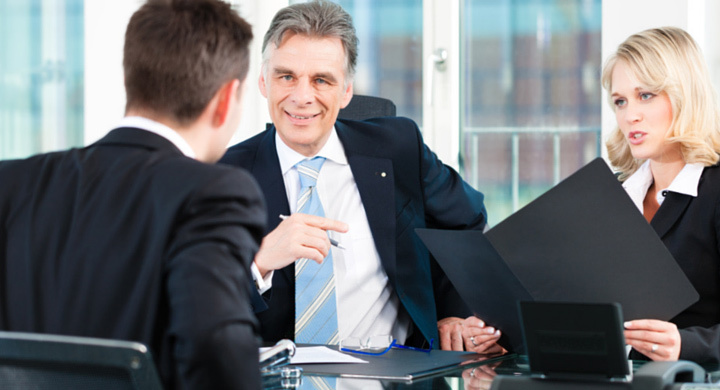 Independent research shows that 93.6% of your role is the behavioral management of clients. Source: Professor Meir Statman 2000. In the last couple of years, Robo-advisor investment platforms have taken an important position in serving the middle and lower markets for financial planning. They are here to stay and should be encouraged. The question is does the Robo model for investments in its current format completely work? Like many new innovations, the problems are somewhat hidden when the markets are hidden. Where the Robo platform is completely stand-alone and totally independent of direct advisor input then the risks increase. The issue I see emerging for Robo platforms is that when there is a sharp and/or sustained correction downwards then there could be a mass exodus with a bloodbath of losses. After all, behavioral finance research shows us, people will, in varying degrees, make emotional decisions at the wrong time and follow the herd out of the market. Yes, the Robo platform may have many clients, but they will not be able to communicate with them when negative events happen. Similarly, there is no incentive for the Robo platform to communicate with investors as the market keeps going up and many get out of their comfort zone. In fact, the Robo is incentivized to keep having these people sign-up. How to communicate with each investor on their unique terms. Put another way, they do not know how to re-frame information so that it is understandable to the investor. The behavioral biases of each investor which will drive their decision-making (for instance to name a few, loss aversion, following the herd, taking a consolidated view, over trading). The correct risk profile which will influence portfolio allocation. Some of the Robo’s have a few questions that relate to risk and others make potentially false assumptions based on demographic data. Not all Millennial’s and Gen Y’s with a high income are risk-takers. The ability to customize communications from the first point of engagement in the sign-up process. This would not help the initial sign-up process but also ongoing marketing. Enhance the capability to manage investor emotions in volatile markets. Provide a more robust framework for making suitable recommendations to meet compliance requirements and also monitor them. Ultimately, a Robo investment platform will not be sustainable on a long-term basis if there are no mechanisms to “Know, Engage, and Grow” the investor clients. This means that there must be robust online solutions to discover the client’s financial personality and a place for human interaction. These elements can be incorporated on a cost-effective basis and to achieve scalability which is needed to bring financial planning to the masses in a safer way. Don’t Let Behavioral Biases Cost You Money! A key principle to remember is that each client reacts differently to the same market events. This is because they each have a unique mix of behavioral biases. This begs the question, how will you manage your different clients’ emotions as the market changes? In the financial planning process, some clients tend to make financial decisions that are based on past experiences, personal beliefs, what they like and to avoid mistakes. Fewer people make well considered forward thinking, long-term life financial planning decisions. But, each approach suggests a bias. Writing for News Limiteds The Australian, Platinum Asset Management co-founder and managing director Kerr Neilson asks the following question.What is the biggest factor in investing? What is it that separates the winners from the losers? You might think its experience or numeracy or a particular understanding of an industry. All of these factors will be relevant, but the distinguishing feature is surely the presence of bias. This is an interesting thought and much in evidence in the financial fraternities articles and blogs. But what is bias? How does it play into financial decisions? Can it be uncovered? Can behavioral biases be uncovered? Yes they can, because each person has an inherent hard-wired behavioral style which is the core of who they are and can be predicted with the right discovery process. Behavioral biases influence not only their behavior, but also their decision-making process. Daniel Kahneman (winner of the Nobel Prize in Economics) refers to this as a persons automatic decision-making biases in his 2012 book “Thinking, Fast and Slow”. Robert Stammers, CFA Director, Investor Education notes in his article for Forbes – Perhaps the best advice for individual investors regarding bias is this: Avoid trying to outsmart the markets and instead work to outsmart yourself. Through self-examination and reflection, learn to recognize your own biases when they rear their heads. Financial advisors need to be able to uncover a clients biases. Having this insight in advance of planning not only enables the advisor to educate the client, but it also flags areas where the client can be steered away from their emotional bias, which results in taking action based on feelings instead of facts. A useful starting point in the advisor/client relationship is to uncover and understand that you, as an advisor, have your own investment biases and blind-spots that must be managed so that clients are not influenced by your behavior. Revealing these biases for the advisor, as well as the client, ensures a) the relationship will be built on trust and b) it will help mitigate the influence bias or predilection can have on decision making. The question we are most often asked is “will my client want to participate in the Financial DNA Discovery Process?” Our Wealth Mentors have had very few clients resist participating. The reality is people do enjoy learning about themselves. It can even help in their business and personal lives. It is liberating for them to know what their strengths are and the struggle areas. The key point is that the client feels understood. Further, people love to talk about themselves. After all, that is their number one topic. So, why not guide the discovery process and let them talk about themselves. If there is a barrier in an advisor’s mind about their client participating, it is usually just in their own mind. The important point in getting the client to participate in the Financial DNA Discovery Process is to ensure it is introduced as a normal part of your service. Taking that further, connect it to your desire to provide them with a customized life-long service experience, set their goals and help them not make emotional decisions in reaction to events and markets. The process can start with Communication DNA Discovery; which only takes 2 -5 minutes and the rest of the steps can be progressively introduced over time. We have many delighted clients. Click on this link to read about a recent successful client story. If you are feeling any resistance yourself, then there is no harm in completing the process to find out and experience for yourself the power of the experience. You will feel liberated and want to ask questions!! Learn more about DNA Discovery for increasing client engagement and customizing experiences . 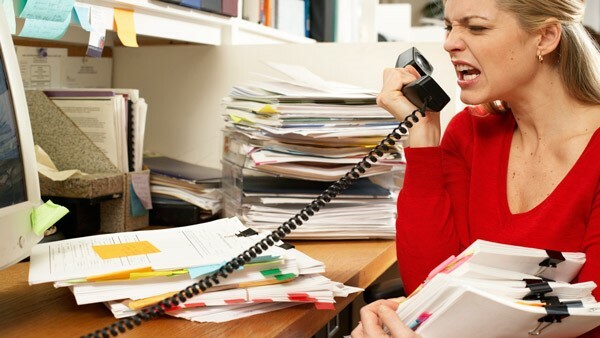 Who’s in Charge of Minding the Client? Advisors are expanding their practice and planning for their own eventual retirement.? The consensus is generally that younger team members can bring new skills to any practice. Theyre good with social media and they can, it is assumed, relate to younger clients and prospects. In a recent webinar, the main presenter made an intriguing observation that millennials have spent so much time on social media that many have not developed the finer skills that advisors need to succeed?the ability to communicate face-to-face with a client or prospect. In other words, the essential people skills. Based on this observation, it would seem that the youngest advisors excel at social media, while the older ones are good at the more technical aspects of the job, thereby leaving few who are truly at their best with client management. ?However, the topic is not that black and white. What really needs to happen is that advisors, young or old, must know themselves at a deeper level to uncover their natural strengths.? If an advisor is a people person with less affinity for details and research, then this advisor will be at their best with client management. Perhaps it would be best for the relationship advisor to partner with a more research and detailed advisor who can prepare the financial plan and the retirement cash flow scenarios.? The relationship advisor can focus on the big picture, the clients emotions, and reactions while the more technical advisor can review the details of the plan. Its best to remember that a successful advisor is not all relationship and no technical skills; just that everyone has more of one or two strengths than another. It makes sense to share your greatest talents with your clients. In order to do this, a productive practice is to combine the skills of your team and learn from one another to strengthen struggles and fine-tune natural talents. So, who is to take ownership of minding the client relationship?? 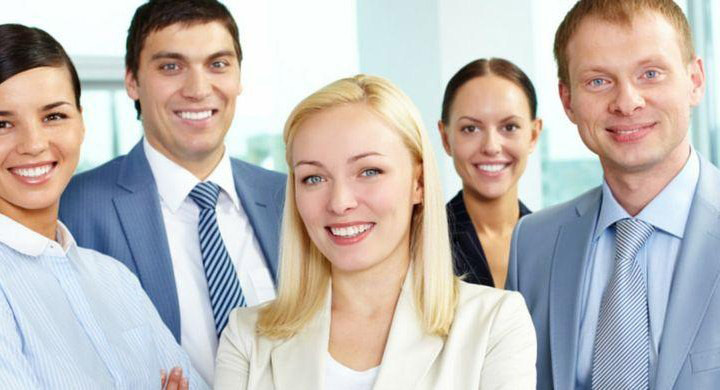 If you have structured your office to capitalize on each individual team members strength, you all are as a strong unit!